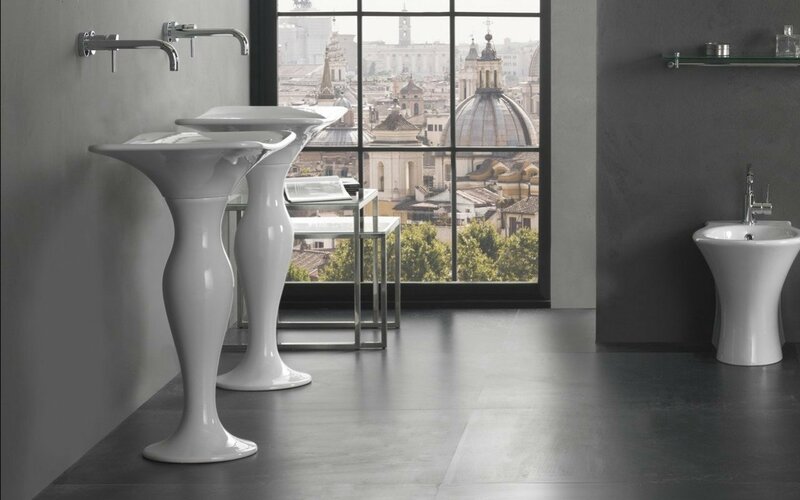 Aquatica's latest Formosa Freestanding Washbasin on a Column screams sophistication and elegance! This rectangular freestanding washbasin has been constructed on a column using only the finest ceramic available, making it super durable and functional. While standing out as a gorgeous centerpiece in your chic and trendy bathroom, it is also giving it an old worldly sense of style. Designed and made in Italy, our freestanding washbasins come in a soft and sleek white finish and measure at 65x45 in size, as well as include a floor pipe connection for easy installation. 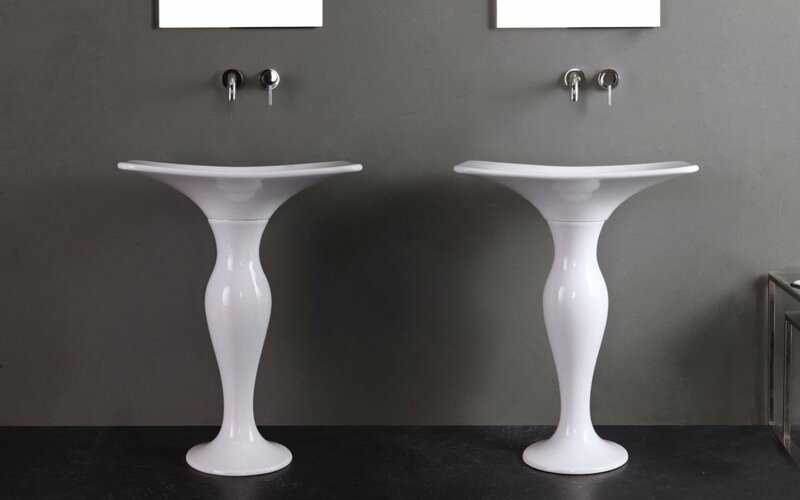 Aquatica's latest Formosa Freestanding Washbasin on a Column screams sophistication and elegance! This rectangular freestanding washbasin has been constructed on a column using only the finest ceramic available, making it super durable and functional. While standing out as a gorgeous centerpiece in your chic and trendy bathroom, it is also giving it an old worldly sense of style. Designed and made in Italy, our freestanding washbasins come in a soft and sleek white finish and measure at 65x45 in size, as well as include a floor pipe connection for easy installation.